The winds were strong and it made for an unpleasant paddle. I wished I had brought the Tarpon 120 kayak instead of the canoe, but I made the best of it. I headed out and and paddled a short distance down the shoreline until I reached the interior of the small cove east of the ramp. Unlike many Canyon Lake shorelines which are steep and boulder-covered, this one is gently sloping. It is a great spot for carp. 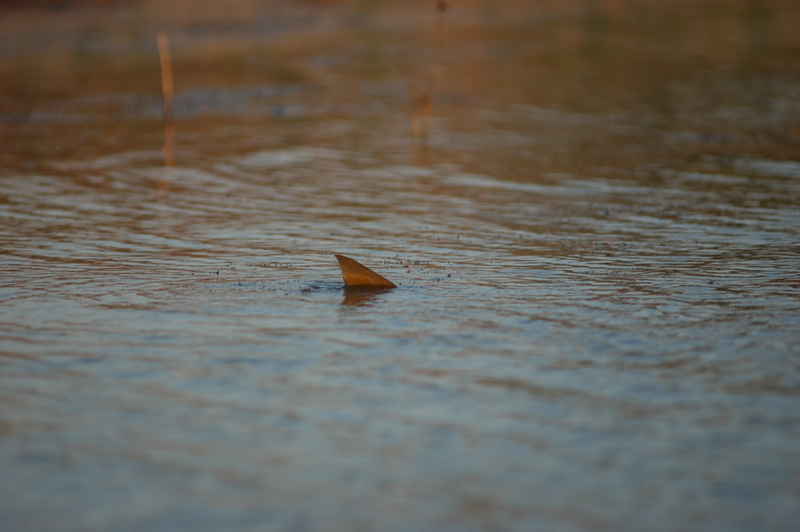 As I approached the shore I could see headwakes, swirls, and muddy spots made by carp feeding in shallow water. I made a few casts at them with a 6wt. rod and several different small carp flies, but they were more interested in rooting up the bottom than eating my flies. So, I just took some photos instead. 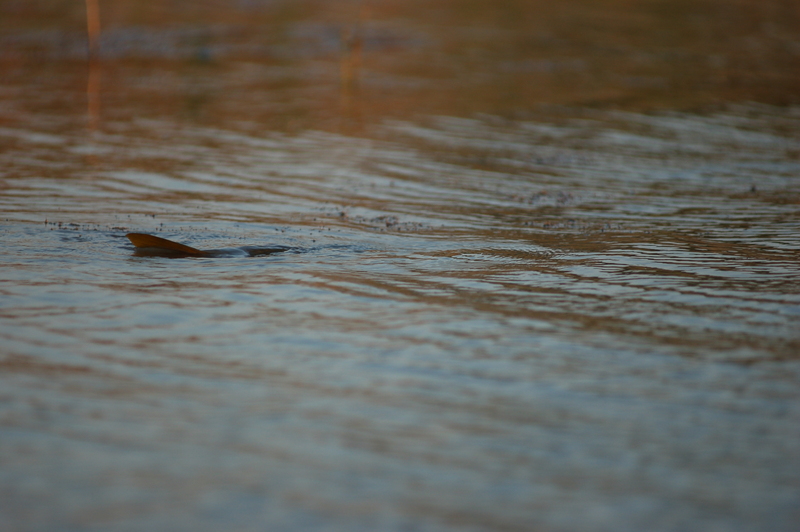 It’s amazing how much they look and act like tailing redfish (but much tougher to catch!). 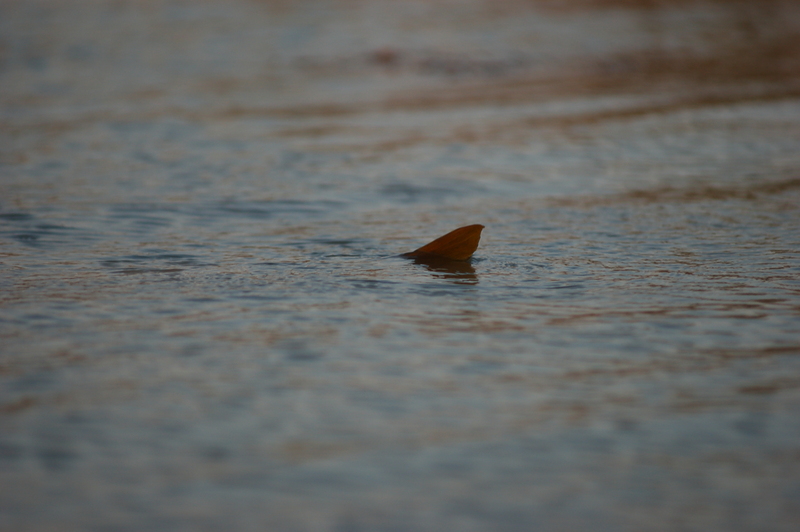 Around dark I headed back to the ramp, where the skeletal remains of a fish caught my eye. At first, it looked like a typical “boat ramp carcass” left behind by people fishing around the ramp. But upon closer inspection, it was clear this was no average Canyon Lake fish. Take a look at the serious teeth, tapered head, and high position of the eye sockets. I believe this is the skeleton of a red snapper, probably left behind by a bar-b-queing camper, or by a lazy fisherman who brought it home from the coast and dumped it out of his ice chest or cleaned it at the lake. 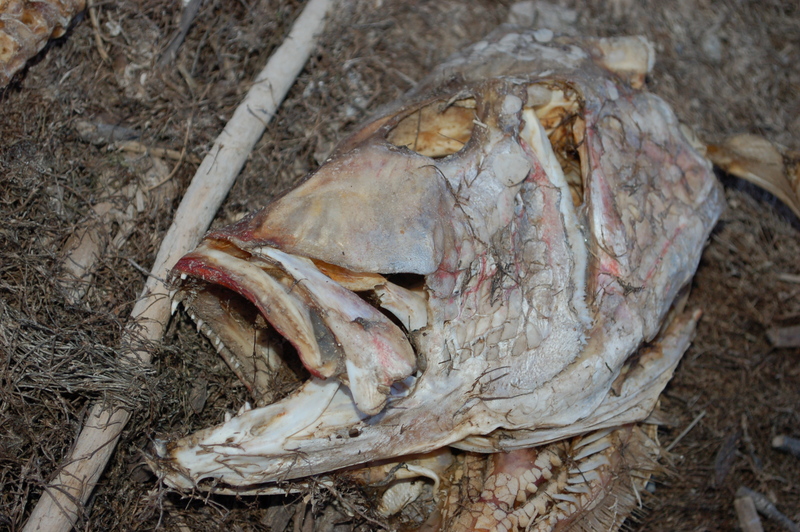 Either way, it’s strange this fish wound up on the banks of Canyon Lake.